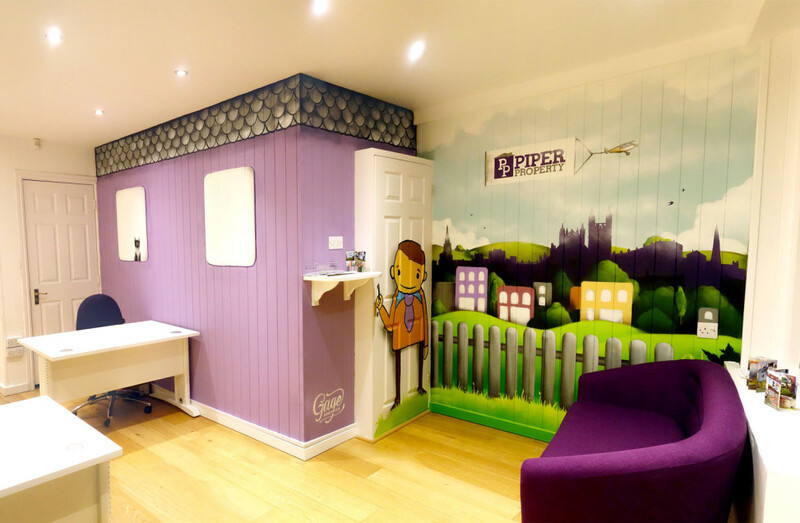 Piper Property is a Bristol Letting Agent that rents and manages properties on behalf of landlords. 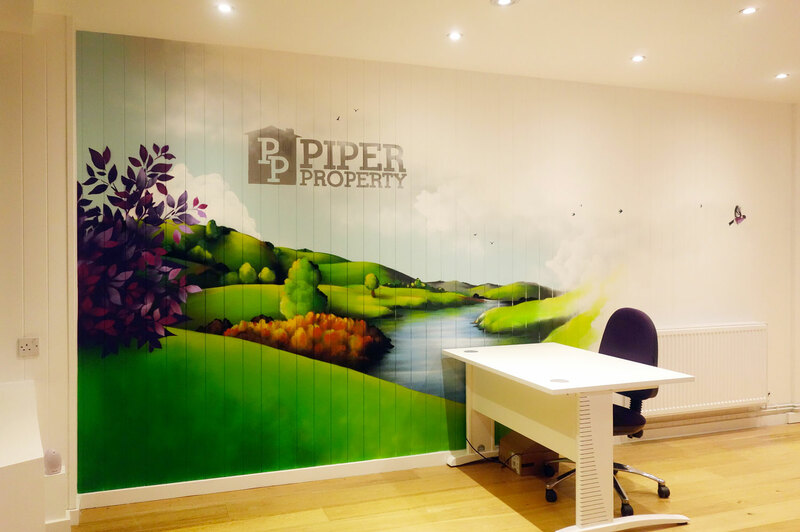 They commissioned me to brighten up their new office on Walcot St in Bath with a mixture of local landscapes and their branding. I came up with this combination, incorporating some of the characters from their website, the brand colours, the Bath city skyline and the Avon river with surrounding hills. 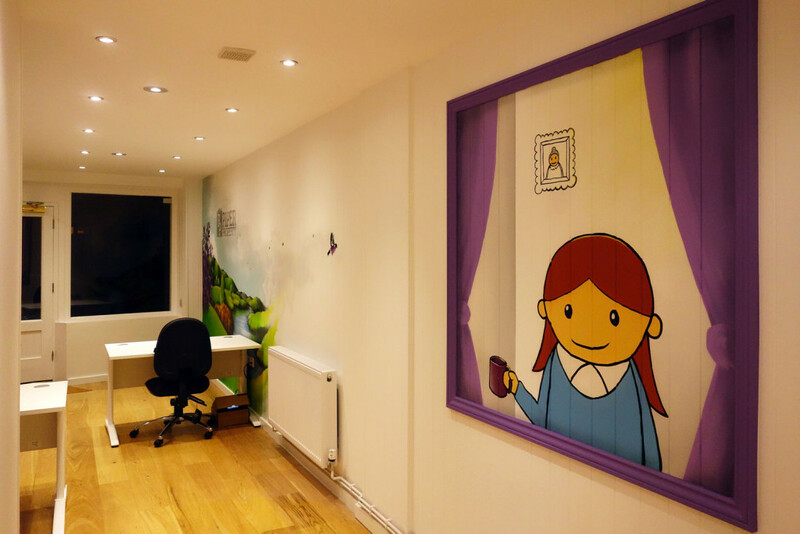 I also used doors and features in the office to influence the design. 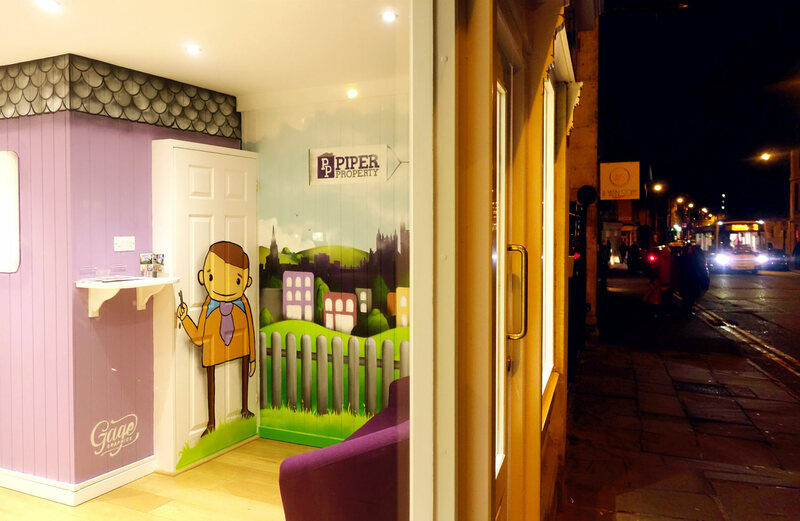 The result is a colourful illusion which catches the eye from outside in the street.